Stand on your land. 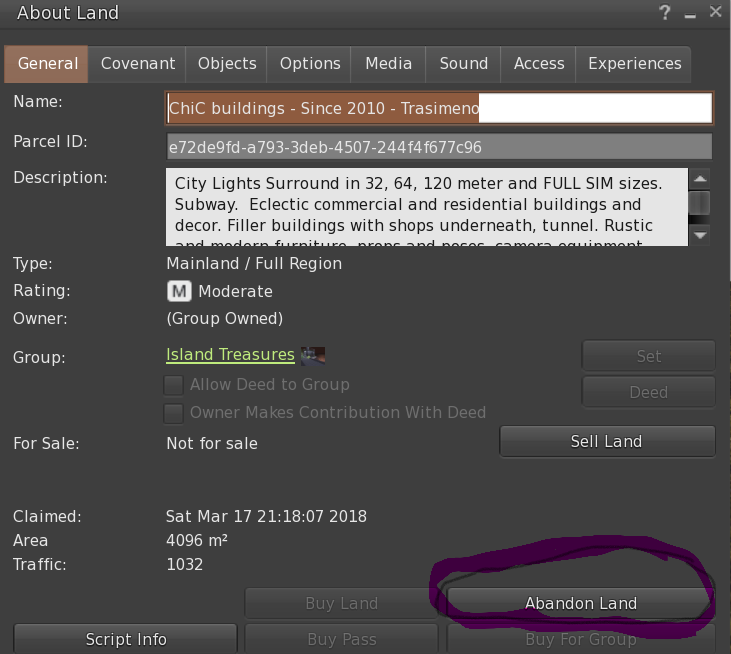 Click ABANDON LAND tab. Note that FEES (tier) are retroactive so you may end up paying for a month of tier after you downgrade. You an see when your tier is due in the website member area of the avatar that owns the land. If you only have a 1024 then I think the tier is $4 now. Also check to make sure that you don't have any tier donated to any groups. Under "Land Manager" on your account dashboard, click "Group Land" and look at each group name to make sure that the donation amount is 0. If the donation amount is larger than zero for a group, then you will need to bring up the group info inworld, switch to the tab showing land donations and 0 out the amount you have donated.